I love Avebury. It sits on the heart chakra of the world, like Glastonbury. 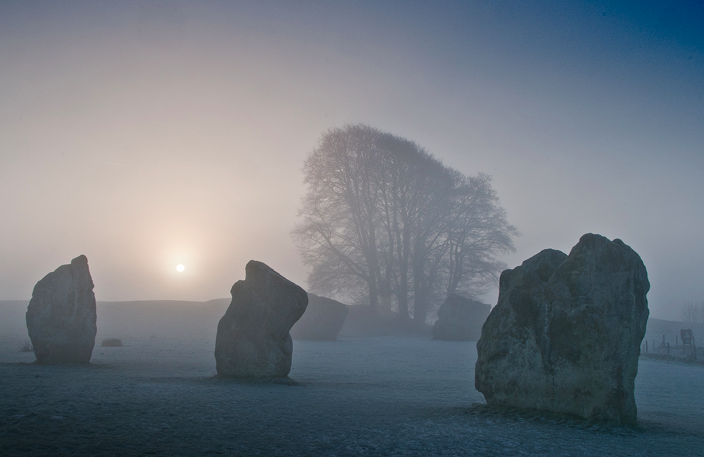 But if Glastonbury is the warring lion heart, Avebury is the compassionate mother heart. This place feels like a little slice of heaven. It exudes peace, calm, love and well being. People smile and slow down when they get here. It is the biggest stone henge in Europe (it encircles a saxon village). Laura would have called it Poo Henge, as there are sheep everywhere nibbling and dropping pellets. Visitors can picnic among the stones, leave garlands of flowers on them or hug them (unlike Stonehenge which is roped off). Now a World Heritage site, it was discovered in the 1930s by Alexander Keiller, a marmalade manufacturer and archeology buff. Keiller’s 16th century manor house is nearby and visitors are invited to touch almost everything inside – sit in the art deco arm chairs, play billiards or luxuriate in a 4 poster bed (which I did, although the guard said it was usually kids who dared to try it). During tea in the cafe, Fred Astaire’s Dancing Cheek to Cheek came on. It made my heart sing – it was one of our favorite dance songs. Even when Laura was ill, it cheered us up to hoof about the apartment cheek-to-cheek.